…features the last “Most Of The Time”, Dylan’s face beaded with sweat, visibly living each phrase. San Jose is the third-largest city in California, the tenth-largest in the United States, and the county seat of Santa Clara County. 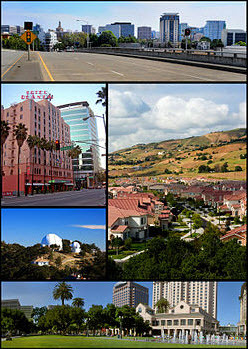 San Jose is the largest city within Silicon Valley, which is a major component of the greater San Francisco Bay Area. It is the largest city in Northern California.San Jose was founded on November 29, 1777, as El Pueblo de San José de Guadalupe, the first civilian town in the Spanish colony of Nueva California. The city served as a farming community to support Spanish military installations at San Franciscoand Monterey. When California gained statehood in 1850, San Jose served as its first capital. After more than 150 years as a small farming community, the San Jose area in the mid-20th century contained some of the last undeveloped land near San Francisco Bay. It then began to experience rapid population growth, much of it coming from veterans returning from World War II. San Jose then continued its aggressive expansion during the 1950s and 1960s by annexing more land area. The rapid growth of the high-technology and electronics industries further accelerated the transition from an agricultural center, to an urbanized metropolitan area.By the 1990s, San Jose’s location within the booming local technology industry earned the city the nickname “Capital of Silicon Valley”. San Jose is now considered by some to be a global city. The U.S. Census Bureau reported the population of the city to be 945,942 in 2010.San Jose, along with the Santa Clara Valley, has experienced decades of suburban sprawl, with characteristics of intense urbanization similar to the Los Angeles area of Southern California. The first time I heard “Most of the Time” on Oh Mercy, I felt Dylan had penned one of the finest heartbreak songs ever. It is so perfect in its emotion and simplicity. 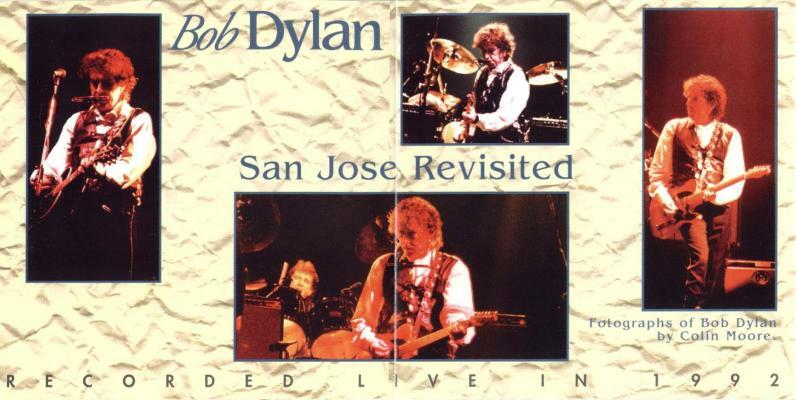 This live version is tremendous; wish there was a released version as good as this out there. … On another topic, how does a person unearth the words to write, “Someone’s got it in for me; they’re planting stories in the press… ?” Sometimes I listen to Dylan and just smile because I am so fortunate to have lived when he was producing this astonishing stuff. … Hey, I can’t help it if I’m lucky. I was at this concert where the opening act was Counting Crows. I remember enjoying The Crows more than Dylan this night since I had never heard of them. I also remember them doing Mr. Jones which took me by surprise since it was so obviously a Dylan tribute of sorts, but I’ve never taken the time to pore over the lyrics, so I could be wrong. Excellent venue by the way. I saw the Who, Rolling Stones, Mamas and the Papas, Association and others during my college days in Santa Clara back in the day. Love the ragged Idiot Wind – wonder why Bob dragged it out again in 92? I was at this show. The version of Most of the Time stuck with me for weeks. I had a horrible recording of it, and when I found the above boot I was ecstatic. The entire show can be found from the same source. Don’t forget T Bone Burnett joined him for a few songs. We were there, walking down to the show from our downtown home. After all the “down” times of the previous years I remember being so pleased that his live shows were bringing him back. He has played it 36 times live.. 23 in 1989, 2 in 1990 & 11 in 1992… the last one on May 09.